The River Plaid Drapes and McWoods Valance will liven up your rustic windows. 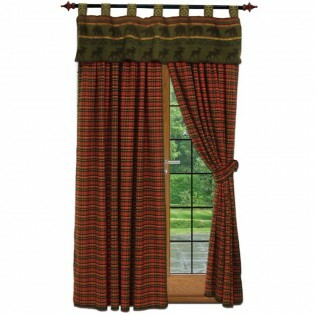 The Pair of River Plaid Draperies are rod pocket style in a wool blend fabric in red, green, black and yellow. Matching tie backs are included. 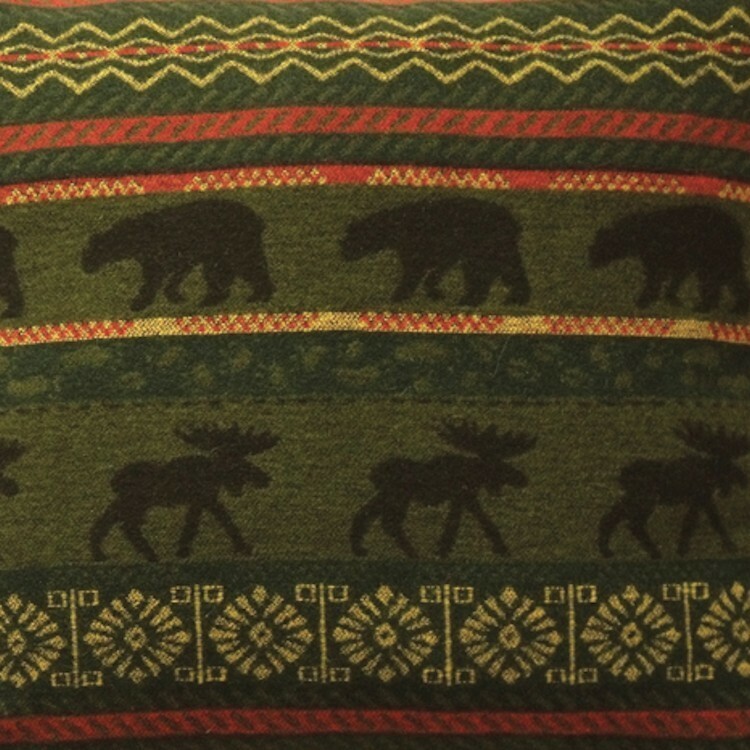 The McWoods Valance is predominantly green with stripes of black bear and moose silhouettes and a touch of yellow and red. This tab top valance has decorative button hole stitching instead of traditional hems and is designed to hang flat. 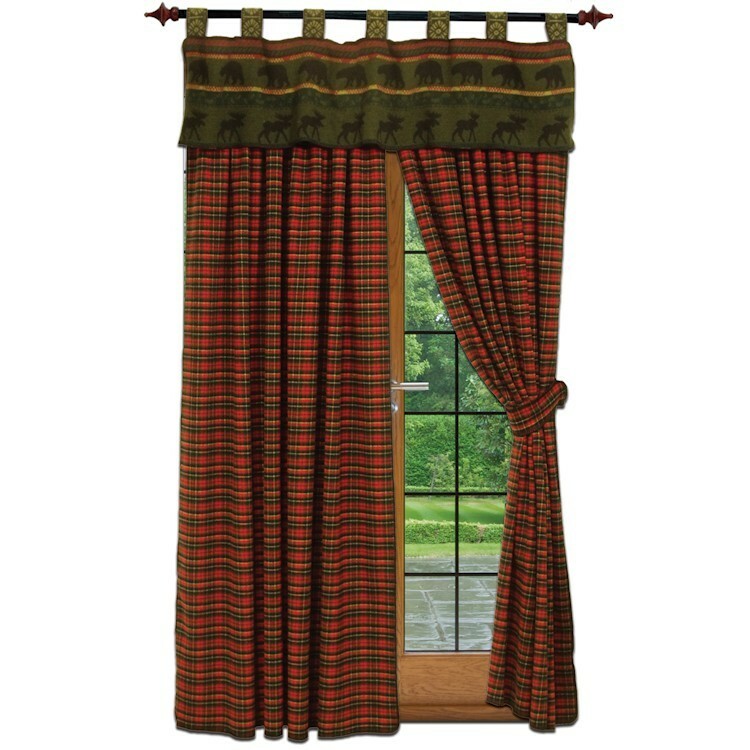 The River Plaid Drapes and McWoods Valance will liven up your rustic windows. 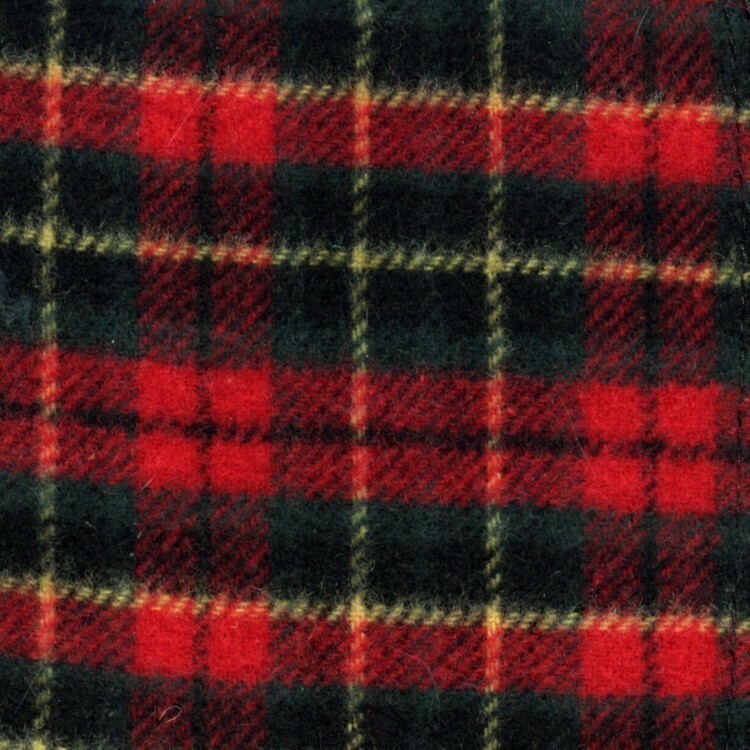 The Pair of River Plaid Draperies are rod pocket style in a wool blend fabric in red, green, black and yellow. Matching tie backs are included. The McWoods Valance is predominantly green with stripes of black bear and moose silhouettes and a touch of yellow and red. This tab top valance has decorative button hole stitching instead of traditional hems and is designed to hang flat.